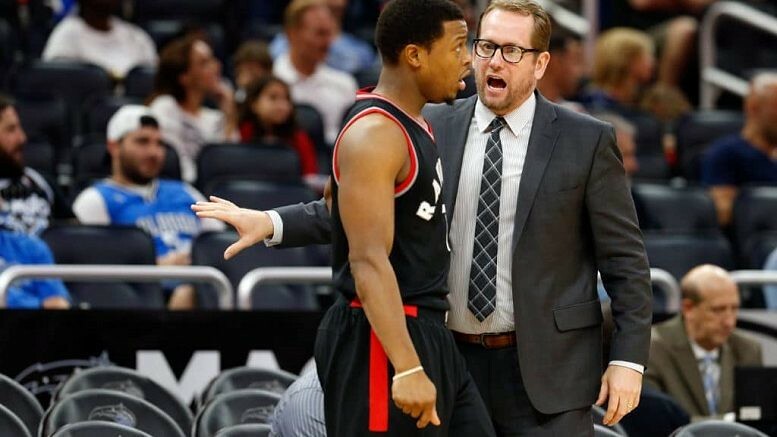 The Toronto Raptors are replacing Dwane Casey with assistant coach Nick Nurse. Nurse has been with the Raptors since 2013. He's the first new coach hire of team president Masai Ujiri’s tenure. I don't know. I'm sad we let Stackhouse and Casey go for him to be their replacements, personally. I will wait to see if the Raptors Devotee leaves a comment for another point of view. I guess it shows that Ujiri completely panicked and fired Ujiri after the sweep to Cleveland and had no real plan for a replacement. Urooj Islam - I wouldn't say Masai panicked, I knew Casey had to go - he is the easiest contract they had available to move. BUT I don't think Nurse is getting us anywhere that Casey didn't. It's just weird to single out coaching as a problem or THE problem and then go on to hire the next coach from the same coaching staff. Shows a complete lack of planning and foresight on Ujiri's part, at least to me. I'm of the opinion that if you're going to fire a coach with Casey's regular season track record, you'd better hire from outside the organization. As I said at the time, Casey's downfall was losing to the same guy the rest of the conference has been losing to for almost a decade. I'd have brought the gang back next year and taken a run at the Celtics with LeBron in LA. Urooj Islam - I get you on that, hiring him after firing the guy he worked with for the last few years makes 0 sense but I know that third time was probably the charm for him to remove Casey. I personally would have preferred Jerry or anyone else, LOL. I think Masai must have a good reason, but I disagree with his good reason ! 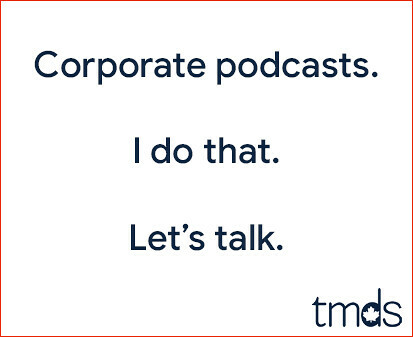 Mike - Yeah, I agree with that. Let's see how the summer unfolds now.... ! This Raptors coaching search has been a curious one. You don't fire a coach like Casey unless you know exactly who you'd like to hire to replace him, or at least have a shortlist of possible replacements. Casey was fired exactly a month ago and they interviewed Nurse only a mere days after. The fact that they took several weeks after that to hire him suggests he was never *the guy*, never their first choice, maybe not even their second choice. Reading the tea leaves - it seems like he was the best candidate in an unideal situation. That's not a knock on Nurse at all, it's a knock on management's process for hiring a new coach. Nurse has been lavishly praised as an assistant and deserves a fair shot to take this team to the next level. I'm looking forward to seeing how he does next season. I wonder how much impact the firing of Casey and his perceived mistreatment from the Raptors had on their coaching search. Several other players and coaches around the league stood up for Casey after he was fired and it wouldn't shock me if some more notable candidates didn't want a part of the Raptors gig because of how they treated Casey. Also, Casey landed his next job before the Raptors even hired/named his replacement! Unreal situation. If and when LeBron James leaves the East, our odds of making the finals will dramatically improve. And yes, I see the Celtics are pretty great now and will be even better when they're healthy, but I'll take my chances. Some thoughts now that I have had time to digest and reflect on why Nurse ended up being the one chosen. Firstly, I knew 100% that Casey was gone when the Raptors had their end of season exit interviews. Kyle basically threw Casey under the bus, and as long as Kyle is running the team, which he is, Sorry DeMar, and can keep his body together, a change had to be made. You all know that I have never been a Casey fan, yes, he changed the culture, but that stupid Pound the Rock and an actual boulder outside the clubhouse to me was something that Trump would pull, and never made sense to me. This was done well before 3-point shooting took over the game, but shows me how out of touch Casey was in terms of style of play and properly running an offence. It was 100% Nurse who transformed the offence away from hero ball, as Casey handed him the keys, as he was incapable of even contributing to it. Nurse IMO pulled it off as well and even better than expected and that is why he is the head coach, as Masai knows and appreciates how well executed the offence was. Looking ahead I will be watching to see how Nurse handles plays off of timeouts and also using the clock effectively for 2 for 1 possessions at the end of quarters, always a sore spot for me as we gave possessions away too easily. Casey was incredibly soft on DeMar not he defensive end, and that is just not good enough if the Raptors want to do damage in the playoffs. We know how DeMar has choked beyond belief in post-season play, and I would move him today if I could, but that is not my call. He has every off-season worked on a new aspect of his game. Well how about playing defence for the first time in 2018/19? Nurse has to hold him accountable and by doing so, even if he is not scoring or getting to the line, can still be a contributor. All I know is that Casey was incredibly ill-prepared for Cleveland, and for someone who cut his teeth on defence, that was a pathetic and embarrassing series and he deservedly paid the price for it. The Raptors leaked out in Games 2 and 4 and it was a lay-up drill and dunk contest for the Cavs, plus the players quit on him. Masai does not have much cap room flexibility and he has got to find a way to move Serge and possibly DeMar to take the next step. By moving DeMar it would allow OG to develop more and play a more offensive role, which he has the ability to develop. He is a star in the waiting, and showed me he already is more clutch in the playoffs than DeMar ever was. I will give Nurse a long leash, and he has two years with me to show me what he's got as a head coach. Scary that a 59 regular season team is so flawed with its make-up but that is up to Masai to fix now. bsmntdwllr73 - there were tons of nursing jokes already made :p so not too early at all. When you leave a coach like Ettore Messina out in the water, you better damn well be sure you hired the right guy and with all do respect to Masai this was just the wrong move. Masai is a great GM and talent evaluator, but this hire is just wrong for so many reasons. The Raptors beat the teams they were supposed to beat in the regulatr season (their winning percentage was something like 60-70% against those teams I'm not sure of the exact percentage). Against teams that were at the .500 mark and better, the Raps winnning percentage hovered around 50-55%. Well what does that mean? It means that the Raps stomped on the teams that were bad (like any decent team should do) while they played fairly bad to mediocre against the very good teams. This is why their winning percentage was inflated in the regular reason, and why their true colors were shown in the post season (when it matters most). One could look at the stats all they want when looking at the Raptors efficiency ratings at the offense and defensive end, but the bottom line is this: If you cant beat the good teams in the regular season, what would make one think that it would change in the post-season? The complexion of this team just doesn't work; Ibaka is soft and is not the player he was from OKC, DeMar and Kyle just dont show up in the post-season, and Valanciunas plays well when the match ups don't result in a mismatch. What they need is a tough minded hard-nosed coach like Messina along with hard-nosed no non-sense veteran players who can push DeMar and Kyle to step up their game and call them out on their garbage play when it counts. Nurse does nothing to address that issue so we already blew part 1 out of 2.